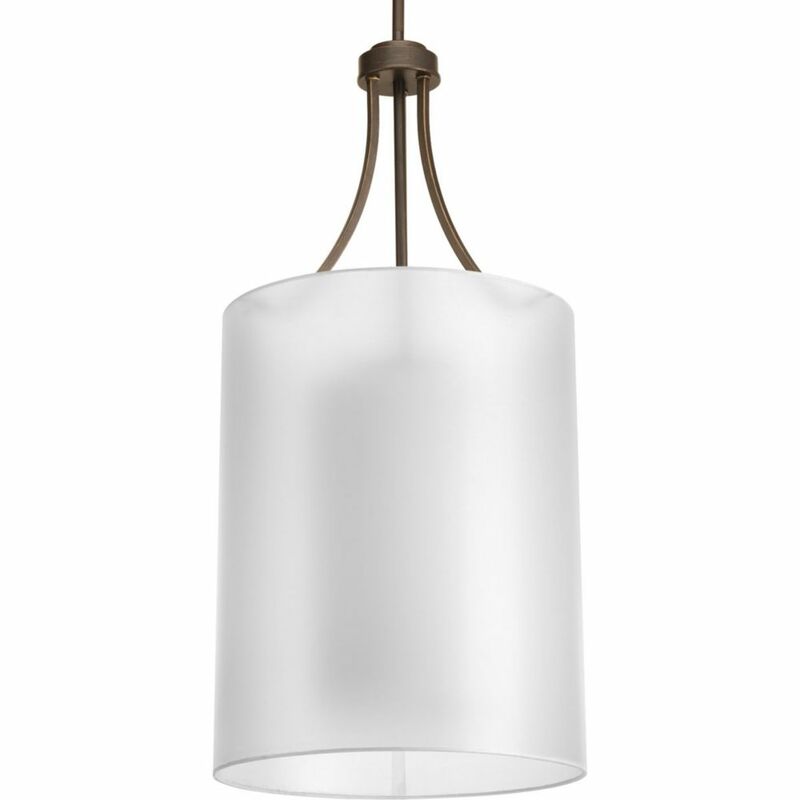 Three-light chandelier/foyer with white etched glass from the Bravo collection. Linear elements stream throughout the fixture to compose a relaxed but exotic ambiance. Generously scaled glass shades add distinction against the Antique Bronze finish and provide pleasing illumination to your room. Bravo possesses a smart simplicity to complement today's home entirely with confidence and style. Invite Collection 2-Light Antique Bronze Foyer Pendant Invite provides a welcoming silhouette with a unique shade comprised of an inner glass globe encircled by a translucent sheer mylar shade. The rich, layering effect creates a dreamy look that is both elegant and modern. Offered as a complete collection, the Invite styling can be carried throughout your home or as a focal style in a special room.